A dining experience blending the area’s finest in tastes & talents, Blackwall Hitch is a coastally inspired concept that creates a local connection. Here you’ll find seasonally driven and locally sourced food and spirits, great local music and the area’s friendliest staff and patrons. 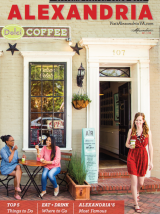 With each visit as you take in the local flavor, we guarantee you’ll be hooked in no time. Get hooked on the flavor. Groups are welcome to book rooms for private events; there are no rental fees, just a food and beverage minimum. 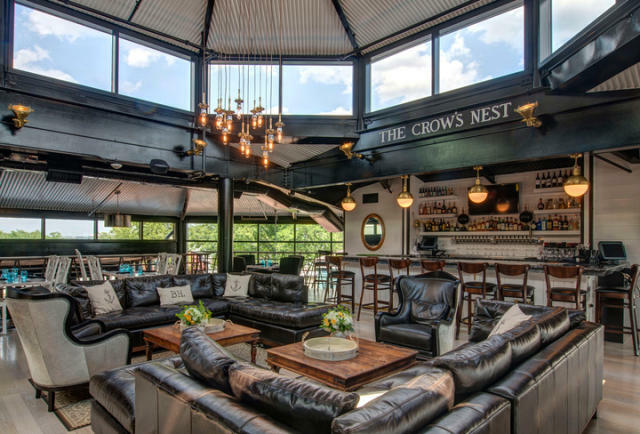 Blackwall Hitch offers a variety of spaces for groups: The Crow's Nest is perched high above the main floor of the restaurant offering stunning vistas of the Potomac River and a bird's-eye view of the entire restaurant below. Seats 32 at the tables, 54 including the lounge area and bar, and can hold up 80 for more of a cocktail style event. The Captain’s Quarters is a private dining room that seats 36 guests. 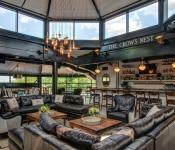 The Bridge is a semi-private space that can accommodate up to 60 people for a seated event. The Oyster/Wine bar and King's room is our largest dining area. It has a bar, two long kings tables that can be used for hors d'oeuvres or dining, and seating for dining. Seats 60 in the tables and booths, and up to 95 including the king's tables and the bar.